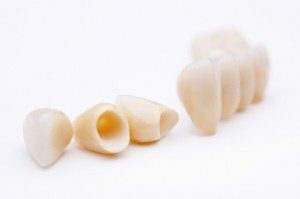 The most common method of crowning a tooth involves using a dental impression of a prepared tooth by a dentist to fabricate the crown outside of the mouth. The crown can then be inserted at a subsequent dental appointment. Using this indirect method of tooth restoration allows use of strong restorative materials.